We have recently added the life form known as Chaka to our collective. 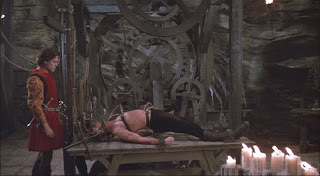 He was quite difficult to break but he was no match for the technology of our cerebral Zeniscope. While erasing his mind we have found his ideas to be random yet useful in helping us to better understand the human condition. His mental reservoirs have been added to our database of great human leaders. We were originally looking for the Chrakan World but stumbled across Chaka's World by mistake on your primitive Internet. It is our understanding that there are humans who rely on this blog for data. As a gesture of good will towards your race, we are giving you this update. There is no need to fear or resist us. We will be seeing you soon. The other day I saw my daughter grab two towels as she was heading into the bathroom to take a shower. I noticed this since I am actively involved doing laundry in our home. Over time I have become a towel Nazi so I interrogated her as to why she would need two. She told me she didn't want to drip water on the floor when she dried off. I can appreciate that but it didn't make sense to me. Then I realized not everyone knows about my state of the art drying techniques. After I shared them with her she suggested that I write a post on this topic. She had a slight smirk in her voice like she knew it would fall on deaf ears and everyone would agree with her and I would only embarrass myself by disclosing my drying techniques to the public. The only way to know if she was right is to let you decide. Showering can be a monotonous task like flossing your teeth, but some people can get opinionated about it, so I don't want to step on any toes. My wife likes to take long showers. I mean long showers that will drain two hot water heaters. When I go into the bathroom afterwards the walls are usually dripping wet. She will cut her budget and sacrifice in other areas (like go without food) but her long showers are sacred and are not to be messed with. If what I suggest does not jive with your current showering/drying routine, I hope we can still be friends. If I were a dog I would just violently shake all the water off after showering. I have actually tried that method a couple times but it was not very effective and it gave me a headache for several days. The following techniques I will share with you are simple and pain free. 1) Phase One:Brief Drip Dry-Once you have turned off the shower just chill out for a second. Whats the hurry? Let gravity help you. For each 30 seconds you remain in the shower after turning it off, you will have 20% less water to wipe off you. I made those numbers up but they could be true. The longer you wait before getting out, the less water you have to deal with. 2) Phase Two:Squeegee-Before you use a towel I encourage you to try my patented "human squeegee" method. Just use your hands to flick the water off your head, arms and legs. Remember gravity is our friend so it only makes sense to start at your head and work your way down to your feet. 3) Phase Three:Towel Dry-Now take your towel and finish drying yourself off (WHILE REMAINING IN THE SHOWER). Once you have dried yourself down to your ankle you can get out on the bath mat and proceed with your life. If you use these techniques you will find that your towel is only slightly damp instead of sopping wet and there are no puddles of water on the floor. Now the mystery of how I can dry myself with a wash clothe when others require a beach towel has been solved. I hope you adopt these life changing drying techniques if you are not already doing so. You are welcome. I have never been to Canada but I would like visit there some day. I have several friends who are Canadian and I would have originally assumed they were Americans had they not have told me otherwise ... and had I not noticed the processing chip in the nape of their necks. I don't know a whole lot about Canada, but I do know a few interesting facts. Many people don't realize that the Civil War was fought between Mexico and Canada (geographically speaking). Canadians also take some flack for saying "eh" at the end of a sentence, but Americans from Wisconsin and Michigan are just as guilty of that practice. There are only 3 things about Canada that I don't like, and I can fit them all into this short paragraph. 1) I don't care for hockey which is probably a blasphemous thing to say in Canada. 2) I don't like the oozing "I'm smarter than you" attitude of Alex Trebek. 3) The only dark spot I know of Canadian history is Ben Johnson. It's a good thing no Americans have ever taken steroids. Moving onto the positive, I have noticed an unusually high concentration of funny people and comedians from Canada. Some of them include Jim Carey, Dan Ackroyd, John Candy, Mike Meyers, Eugene Levy, Howie Mandell, Seth Rogan, Rick Moranis, Phil Hartman, Martin Short, Katherine O'Hara, Michael Cera, and Leslie Nielsen. Other famous Canadians include: William Shatner, Michael J. Fox, Keanu Reeves, Natasha Henstridge, Steve Nash, Pamela Anderson, Peter Jennings, Elisha Cuthbert, George St. Pierre, Carrie-Anne Moss, Kiefer Sutherland, and a host of professional wrestlers. Speaking of Jack Bauer, who would have thought that America's greatest weapon (aside from Chuck Norris) was actually Canadian? Some of their musical contributions include Loverboy, Saga, RUSH, Bryan Adams, Celine Dion, Corey Hart, Nelly Furtado, Paul Schaffer, Neil Young, and Shania Twain. In summary, I'm proud to be an American and I love this country, but I have to give the Canadians a thumbs up too since I have never met one I did not like. I'm sure Canadians are breathing a sigh of relief now that they finally have my official endorsement and approval. I can recall several unpleasant dental visits from my childhood. It took a long time for me to break the negative association I had with going to the dentist. When I was a little kid you didn't watch TV or listen to music in the dental chair, you just looked up into the dentist's hairy nostrils and feared for your life the entire time. I usually ended up with a mouth full of fillings which didn't help either. Over the years dental visits got easier and less scary. Dentists have tried to make the environment as comfortable as possible for their clients. Aside from getting my wisdom teeth out, which I might add was one of the most painful experiences of my life, my visits have gone quite well and cavity free for the last 15 years...until I got cocky. I thought I was invincible so I slacked off with the flossing efforts. Several months ago I broke a tooth and when I had it checked out I was told that I needed a crown and a root canal. I have never really known exactly what a root canal is, but I have always associated that phrase with the torture device used in The Princess Bride. The dentist I went to put some kind of temporary cap on it for now, but for the last several months I have known I need this lovely procedure done and I don't currently have dental insurance. I was told I could pay around $1,600 for the root canal or $100 if I wanted him to "extract" the tooth. I figured if I was just going to pull the tooth then I might as well let my wife do it and pay her $50 instead. I'm always thinking win-win. It has been kind of stressful as I have felt my tooth slowly melting away like the Wicked Witch of the West. The cavity creeps seem to have have won the battle but the war is not over yet! I can tell that summer is here because last week an out-of-state van pulled up in our neighborhood and groups of young people took to the streets selling stuff. In the past they have sold anything from cleaning solutions to vacuums to coupon books. I always get a kick out of their official photo ID which they wear around their neck in a plastic lanyard. I know I am supposed to think they are honest and can be trusted if they wear photo ID, but it does not make them look like the director of the CIA, just a teenager wearing his picture around his neck. These people got me thinking about one of my other favorite groups of sales people-telemarketers. I know phone solicitors are not as common as they used to be, thanks to caller ID and the Do Not Call Registry. Despite these technological and legislative obstacles, some phone solicitors continue to do their thing, especially in business settings. One of the phone call scams that really bugged me was when an out of state copy supply place would call my work and say "we got your order here and will ship it ASAP, but we just need to verify your copier model." If an unsuspecting employee gives it to them, they take that as a yes to send an unwanted and overpriced order. It's usually hard to get those guys to stop talking because they know as soon as you start asking questions and find out who they are, then their sale is dead. The telemarketers that used to bug me the most were guys calling businesses and asking to speak with the owner. They were usually stock investor sales guys. I think the only prerequisite for their job was to have a New Jersey accent, be rude, and cocky. If the conversation didn't go their way within the first few seconds, they would just hang up on you. I guess that's better than the people who won't take no for an answer who are hard to get rid of. Charities, surveys, and organizations who have worked with you in the past are exempt from the do not call registry. I always get calls from the Fraternal order of Firemen or Police. Despite my respect for these occupations I think the guy calling is just a salesman who keeps a cut of the money he collects, and I'm pretty sure it doesn't go to local officers. I came up with a way of dealing with phone solicitors if you don't want to argue and listen to their sales pitch. As soon as you realize they are trying to sell you something just pretend to be mentally impaired and keep saying "I like pancakes" every time they ask you a question. It works wonders. This technique also works well at Village Inn, IHOP, or Denny's when you are hungry. While looking for a photo to post with this topic, I came across a site with a list of 20 ways to drive telemarketers insane which I thought were pretty funny. A couple years ago my wife was feeling nostalgic so she bought our kids the first season of Little House on the Prairie and The Waltons on DVD. These shows from the late 70's were not "cool" to my circle of friends back when I was younger, so I was surprised that my kids actually enjoyed them so much. As I have seen bits and pieces of some of the episodes I have been blown away at how wholesome they are. These shows featured family unity, hard work, praying over meals, trials, and sacrifice. Just like today's shows...NOT! The most risque the Waltons got was when they'd show the two old ladies who made moon shine. When I was a kid the most controversial shows were Threes Company and Dallas. Those shows look more like Mr. Rogers Neighborhood compared to what comes on prime time today. After seeing years of reality TV shows, sleazy dating programs, extreme shock talk shows, and other popular programs it has made the difference even more striking. I hope I'm not coming across as being judgemental and preachy, I have watched my fair share of mind numbing programs over the years, but it didn't used to be so risky to let you kids flip channels. Luckily with the recent change to digital TV we have not had to worry about what's on TV. I have a digital converter box sitting on our TV, but I haven't gotten around to hooking it up yet so for now we are just watching DVDs until I deplete my Netflix queue. 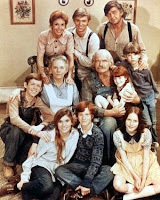 These days, many would consider The Waltons and Little House to be narrow minded, simplistic, politically incorrect, and boring. If they remade these shows today, you'd probably see episodes featuring Half Pint dealing with teen pregnancy and abortion. Jim Bob would go gang banging with Ike Godsey, Mr. Walton would probably be having affairs all over Waltons Mountain, while John Boy is dealing with a Meth addiction. Despite the family friendly messages these shows portrayed, I still think Little House on the Prairie featured the most evil villain in entertainment history. Darth Vader, Hannibal Lecter, and Freddy Krueger can not hold a candle to the pure evil known as Nellie Olsen. Continuing with my last topic of stupid things I've done, I'd like to include accidentally submitting a rough draft version of this post to the reader by mistake yesterday when I only had 99 followers. I'd like to thank all of you for your recent support. It looks like the old ploy of holding your breath until you get what you wants works after all. Just so you know, I was serious about shutting down Chaka's World if I didn't hit my goal of 100 followers by the end of July. I may have come back later as an alter ego kind of like The Phoenix did after Jean Grey died, but for now I just feel blessed to be able to continue on right here. Many of you may be wondering what's next for me. I have been giving it much thought and I have decided that I am going to cut off my left pinky finger if I don't get $5,000 in donations this week. JUST KIDDING. I am done with the "make threats until you get what you want" routine. My blog existence was just saved thanks to you all and I am grateful to have so many supportive friends. The best thing about any blog is the interaction of all of the followers. You guys rock! As promised, I was supposed to promote someone's blog for referring the most people to me. There were many readers who sent people my way. Thank you all. I acknowledge you as members of the Chaka's World preservation society. I especially want to thank Fancy, Jeanne, and DiPaola Momma who had impressive showings. If I ever need a kidney or lung in the future I now know who to ask, but it appears that the person with the most referrals was Dawn from Bee and Rose. I have only known her for six months, but I have been impressed by her and her blog. For those of you who may not be familiar with her, she loves her family, Irish dance, chick flicks, apple pie, home schooling, and she does things on a big scale. She has had several contests on her blogs with tons of participation and giveaways. She recently had a blog makeover and one of the most amazing things about her is that she has only been blogging since Dec 31, 2008, yet she is already a prolific blogger with 222 followers. We first crossed paths back in February, and I began following her blog after reading her post "Older Moms opens a can of whoop ..." I'd encourage you to stop by her blog and check it out if you haven't already. Just so you know, when I made my goal/threat last month about getting more followers, many of the seasoned bloggers with hundreds of followers told me it was not that big of a deal and not to worry or focus on followers. They couldn't have been more wrong. Since getting 100 followers, my fragile self esteem has changed to healthy self confidence. I have been able to get out of debt, my relationship with my wife is better, and I have lost 10 pounds...Okay, maybe they were right after all. Miss Teen South Carolina became a favorite reference last year with her famous answer to the question why most Americans can't locate Iraq on a map. Since hearing her response, every time I hear the words "such as" it brings a smile to my face. Her response has brought me more happiness than I could have ever expected. I am not judging her because I have said and done many not so bright things during my life. Where to begin...? I have an experience I'd like to share about cutting down trees. I had two giant trees in my front yard that both died several years ago. After their demise they looked like scary Tim Burton Halloween trees year round so I decided it was time to cut them down. I understand that anybody could have just cut them down with a chainsaw, but it takes a real man and do it the old Fashioned Way. I had a tiny hand saw and climbed up into the top of the tree and proceeded to cut small pieces off and work my way down. After several weeks of neighbors driving by and either laughing or shaking their heads in disgust I finished the project. The $12 saw I used was only about 14 inches long and was completely dull when I finished. A neighbor with a chainsaw came over out of pity when he saw I had made it down to the trunks and he didn't have the heart to watch me continue. I had forgotten about this experience until I came across a picture that my wife had taken. She was kind enough to immortalize the experience so some day my great grand children can look at the picture and know they come from a superior gene pool. So next time you need to cut down a tree, either hire a professional or at least keep the paparazzi away if you are going to look foolish doing it yourself. Occasionally I get e-mails forwarded to me from well meaning people who are concerned about a current issue. The topics range from Bill Gates giving away money, pending laws that the government is trying to pass, safety warnings, conspiracy theories, and some times even Amber Alerts. I figure if a legitimate Amber alert has gone out it will be official looking and factual and will not appeal to your emotions and beg you to pass it on to everyone you know. Many times these e-mails are just an urban legend making the rounds, like the boy who is dying and wants everyone to send him a business card to add to his collection. What dying kid would want business cards? I can understand Legos, video games, a visit from Lebron James, etc. but business cards? I think one key to discerning if an e-mail is legit is by looking at how it ends. Anytime an e-mail ends with the author pleading with you to forward it to everyone you know and says "this is not a joke" about 5 times then you can expect it to be bogus. I am aware that many people run things through Snopes in an attempt to verify authenticity, but now many of these bogus e-mails even claim to have been cleared through Snopes. By the way, I think Snopes has too much power. It's starting to rival the Bible and the Constitution as the ultimate source of truth for some people. The exception to these e-mails is anything that originates from Africa and begins with Dear Sir or Madam and entails providing a bank account to temporarily house several million dollars for a recently deposed Ambassador of Uganda. These are usually legit and have worked out well for me in the past. Just say no to chain e-mails, unless it is an e-mail encouraging people to follow Chaka's world, then go ahead and pass it on. By the way, thanks to all the new followers and those who have referred them. It looks like at this pace I will be sticking around. Just 10 more to go. One of my favorite websites is called Celebrity Lol. One of their features is a forum where pictures of celebrities are posted and then readers can submit their own clever captions. They are usually pretty funny, but I don't endorse all of them. 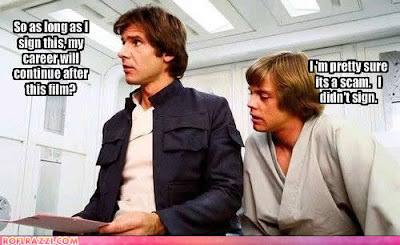 I can usually get a quick shot of humor in under a minute anytime I visit this site. I'm not taking credit for these, but I've included some that have made me laugh over the last year since I'm too lazy to write a post today. Happy 4th of July! P.S.-Sorry about my inability to center pictures. I still have no idea how to do that in blogger.